Today we got the shelter and generator put into place on its foundation at the Almont water tower. The shelter houses two rooms: one for the radio equipment and the other for the generator. 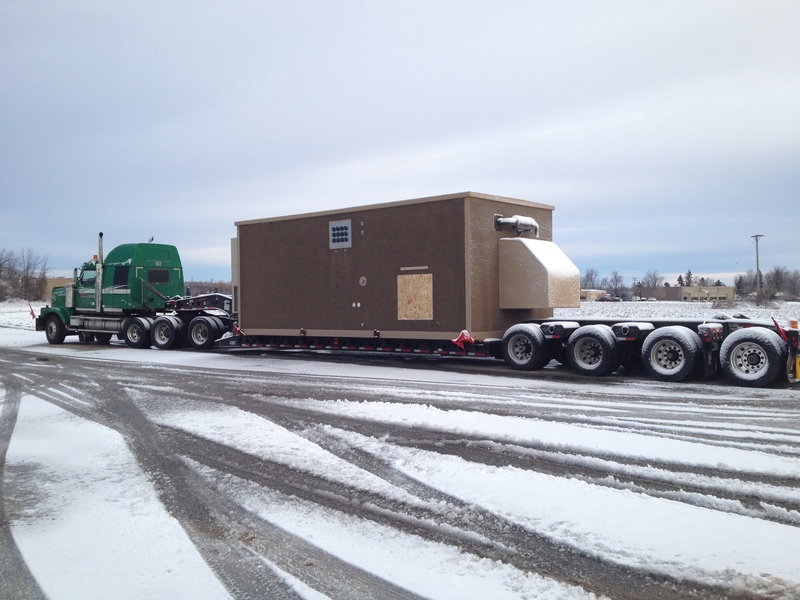 The whole unit weighs 77,000 pounds.